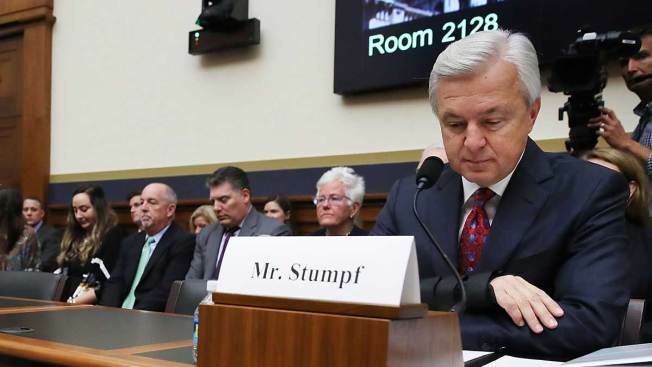 John Stumpf, chairman and CEO of Wells Fargo & Company, testifies before the House Financial Services Committee Thursday, September 29, 2016, in Washington, D.C. Stumpf abruptly retired two weeks later, a casualty of a major banking scandal the bank could take years to recover from. It's going to get worse for Wells Fargo before it gets better. Investors expect Wells to walk away from this crisis mostly intact, but it is apparent that the bank's recovery will be long and arduous. For now, "our immediate priority is restoring trust in Wells Fargo," Sloan said in a conference call with investors Friday, the same day Ohio Gov. John Kasich announced was suspending Wells Fargo from doing business with state agencies, and excluding the bank from participating in any state bond offerings, joining California and Illinois. On Friday, Wells reported third-quarter earnings of $5.6 billion, down from $5.8 billion a year earlier. That is not a good measure of the effects of the scandal, which didn't break until the quarter was nearly over. The reputation of Wells Fargo was the one bank that didn’t suffer during the financial crash. But that’s all over after the recent revelation that employees there were fraudulently creating bank accounts, credit cards and other problems. But at Wells' 6,000 U.S. branches, there are signs that customers are backing away, even though the bank says it clamped down on the abuses over a year ago. Wells reported a drop in what it calls banker and teller "interactions" in September from both a year ago and from August. Also, consumer checking account openings dropped 25 percent in September from a year earlier and 30 percent from August. Consumer applications for Wells credit cards also fell sharply in September. In addition, referrals for mortgages from Wells' retail branches were down 24 percent from August. Wells is the nation's biggest mortgage lender. What all of this could mean for Wells' balance sheet is difficult to quantify. 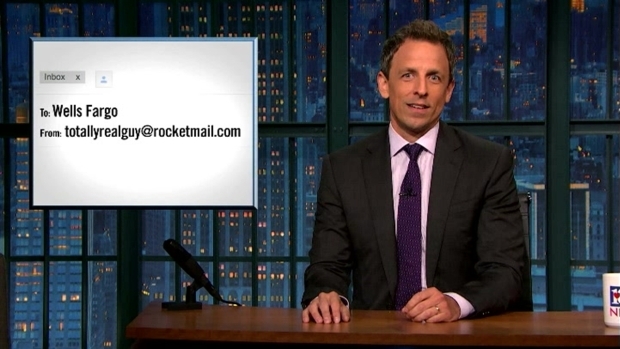 Not every credit card application will result in an opened credit card account. Not every account opened will get used, carry a balance, and get charged interest. "We are beginning to try to calculate whether there will be a trend at all," Wells Fargo CFO John Shrewsberry said in an interview. "The income implications for us, if at all, are down the road." The bank is also eliminating sales goals for its employees and announced a new "mystery shopper" program in which people will go undercover as customers to make sure employees are doing their jobs right. Wells is also taking steps to ensure that employees who call the bank's ethics hotline to report abuses are not retaliated against, something that is said to have happened in the past.